Stone Arch Books, 9781496565174, 128pp. 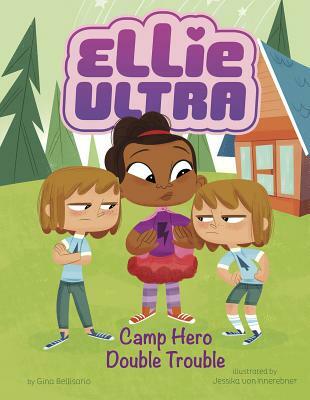 Ellie is excited to go to Camp Hero, where the motto is: Where Super Friendships are Made But when Ellie's cabinmates, superhero twins Mona and Leona, give her the cold shoulder, Ellie decides to use her parents' latest invention to get them to like her. The invention works too well, and the twins start fighting over Ellie Can Ellie stop their double trouble and find out why they weren't friendly to her in the first place?